It seems like the Hartford Yard Goats are becoming a little unorthodox with how they handle baseball traditions. The Hartford Yard Goats announced Wednesday that they would no longer sell peanuts, including Cracker Jacks, at Dunkin’ Donuts Park. Chaz and AJ were a bit fed up this morning with the stadium’s apparent intention to take the peanut fun away from all spectators. Not only would this new change affect the concession stand, but it would also switch up the whole vibe of the 7th inning stretch. Chaz asked, “So are they going to replace the words to the 7th inning stretch at Dunkin’ Donuts Stadium?” Well, the Yard Goats are one step ahead of us. According to nbcnews.com, the Yard Goats is holding a contest for fans to replace the lyrics “buy me some peanuts and Cracker Jack”. A listener called in and recommended AJ to partake in the contest using his parody writing skills. “I don’t think they’d take the colored language though.” AJ replied. Regardless, wouldn’t it be fun to sing AJ’s ridiculous lyrics at the game? The show tossed around the idea of having partial bans, like a “peanut free” section, or a few home games scheduled as peanut-free like other stadiums do. The Hartford Courant reports that the Yard Goats hosted two peanut-free games last season, and the team wanted to go all in for 2019. What seems to be the underlying issue for many fans is that the Yard Goats are forfeiting a true baseball tradition in order to accommodate for a small group of people. “Baseball is THE sport that is DRIPPING in tradition,” Said Chaz. Maybe it’s more so the novelty of the tradition they‘re worried about losing rather than the initial opportunity to eat them at a game. “Do people actually eat just peanuts at a game anymore?” Pam asked. Dunkin’ Donuts Park is presumably the first stadium in the country to completely ban peanut products. 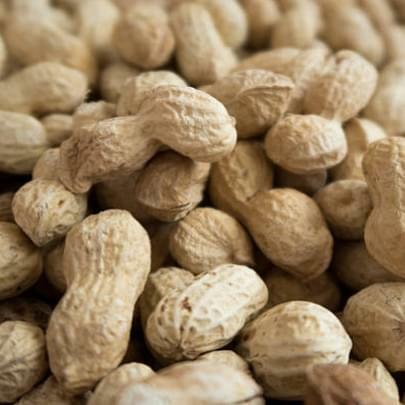 With everyone suffering allergies these days, this could be the start of a peanut-free revolution whether you like it or not.